Two men have been charged over a stabbing in Sheffield city centre. 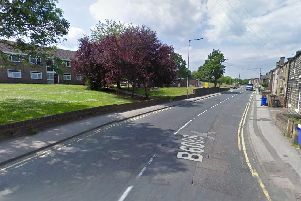 Paul William Robinson, aged 23 and Benjamin Gibson, 27, both of no fixed abode, have been charged with wounding with intent to do grievous bodily harm and robbery following an incident in Victoria Street, off Glossop Road, in which a man in his 40s was stabbed in his leg on Tuesday. A 34-year-old man has been released with no further action to be taken. The stabbing victim has been discharged from hospital and is said to be recovering well.